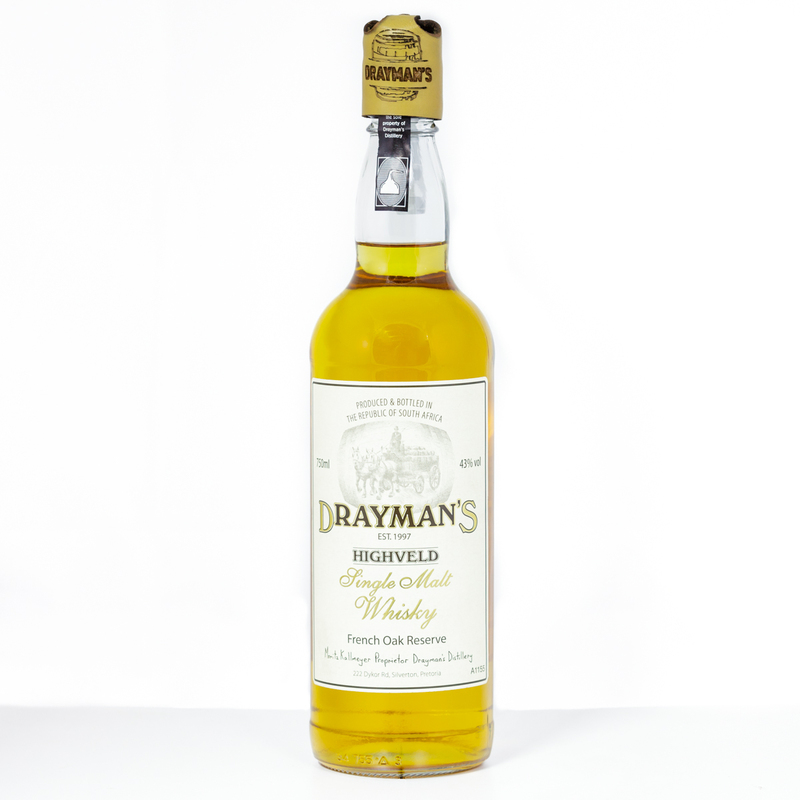 Drayman’s Highveld Single Malt Whisky is the first ever Single Malt from the Highveld of South Africa. This potstill whisky is mashed, fermented, distilled and matured in a craft distillery in Silverton, Pretoria – 1600m above sea level. French Oak casks are exclusively used for the maturation. This rare combination of the casks and the high altitude have combined with the skill of the master distiller to yield a malt of exceptional complexity. 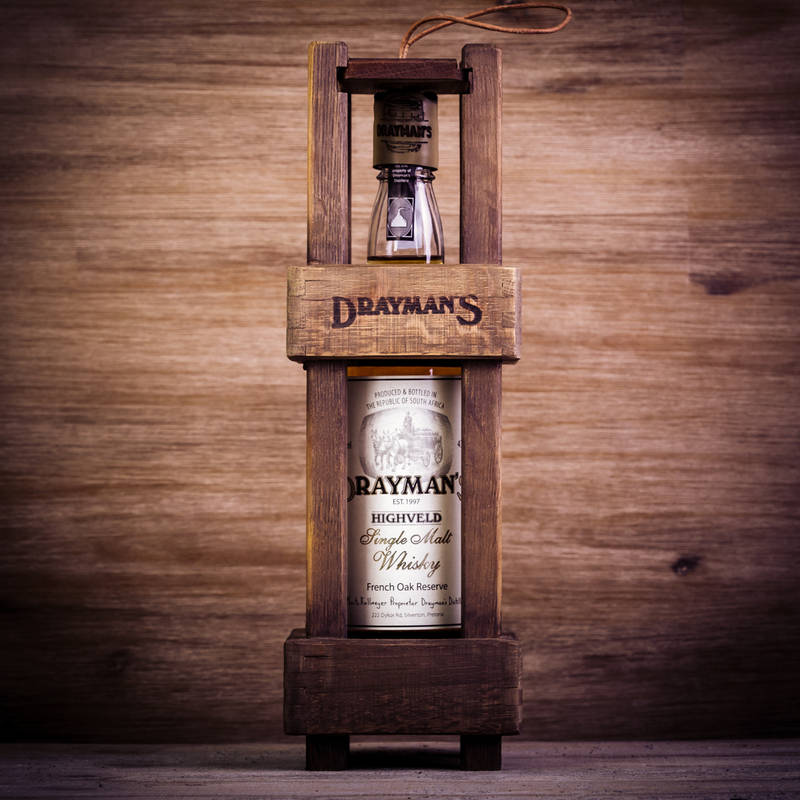 Drayman’s Single Malt Whisky is made in the same way as its Scottish inspiration, albeit on a craft scale. South African whisky legislation is almost the same, which means Drayman’s whisky faces the same stringent quality controls as Scotch. Being on the highveld, the unique maturation influence of terroir was anticipated with excitement. I have a small but devoted operation where care and passion are the essential ingredients and my aim is to make premium quality whisky says Moritz Kallmeyer. I do know that in consumer perception I can never in a 100 years hope to match the legendary counterparts from Speyside or Islay. However, I am both humbled and enthusiastic about the challenge of striving to achieve “Scotch” perfection in South Africa. In the old days all provisions, including casks of local beer and imported Scottish whisky were transported by dray cart. Drayman’s is a craft brewery and craft distillery in the heart of Pretoria, on the highveld of South Africa where no single malt whisky has ever been made. This province, famous for being the Cradle of Humankind now also boasts this tiny distilling pioneer who makes rich, single malt whisky, similar in style to those that made the Highlands and Islay regions of Scotland famous. 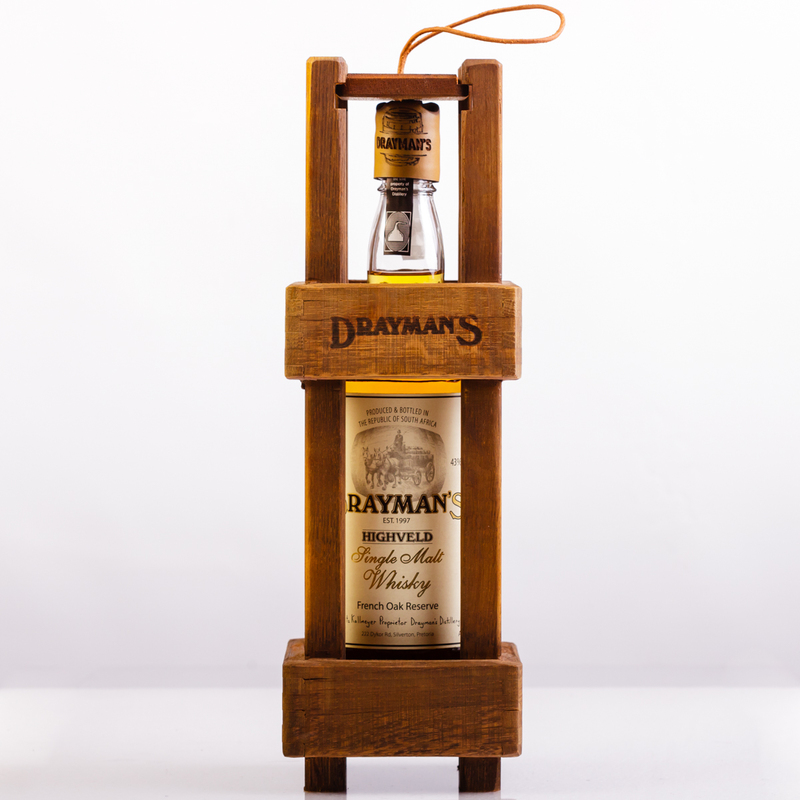 Drayman’s Single Malt Whisky is made in the same way as its Scottish inspiration, albeit on a craft scale. South African whisky legislation is almost the same, which means Drayman’s whisky faces the same stringent quality controls as Scotch. Being on the highveld, the unique maturation influence of terroir was anticipated with excitement. I have a small but devoted operation where care and passion are the essential ingredients and my aim is to make premium quality whisky says Moritz Kallmeyer. I do know that in consumer perception I can never in a 100 years hope to match the legendary counterparts from Speyside or Islay. However, I am both humbled and enthusiastic about the challenge of striving to achieve “Scotch” perfection in South Africa. The nose is exciting, raisins on hot cross buns, then unfolding into hints of sweet desertwine and exotic spice. Poached peaches in vanilla syrup overlayed by elegant oak. The palate reveals bold sweet honey at the start then orange preserve and dark chocolate. Long and luscious in the finish, warming and oaked with lingering nutmeg and marmalade. Low protein, 2 row barley malt is used exclusively in the mashtun. A small portion of imported Peated Malt grains are blended into the mash for the distinctive and highly cherished smoky character. Malt is crushed on site with a Bamford two roller mill. Local water with medium hardness is charcoal filtered and softened at the distillery. Mashing has only two waters, 65°C which rests for 60 minutes before running off and then 78°C. These two make up a wort specific gravity of 1.060. Mashing and runoff takes 3 hours. Not that mashing is a new experience for Moritz Kallmeyer – he has single handedly done more than 2000 mashes in his Craftbrewery. After mashing, which activates the conversion of all the starches in sweet malt-sugar, runoff is initiated. Emphasis is placed on achieving a bright, clear runoff. The wort is collected in a holding tank prior to cooling. The washbacks are stainless steel which facilitate easy in place cleaning. Fermentation is for 7 days at 30°C and the result is a wash of about 7% alcohol. The ale yeast collected from the brewery’s beer fermenters is pitched. After fermentation the wash is subjected to an additional 2 days to encourage a secondary malolactic fermentation – which creates a smooth distillate. The stillman preheats the wash through a plate and frame heat-exchanger prior to distillation. A double distillation system where low wines are redistilled, is done. The result of the spirit-run is only 10% new make spirit, because a very clean middle cut or “heart” is taken to mature as whisky. Foreshots and feints comprise 45% of the distillate and are returned to the potstill for re-distillation with every batch.